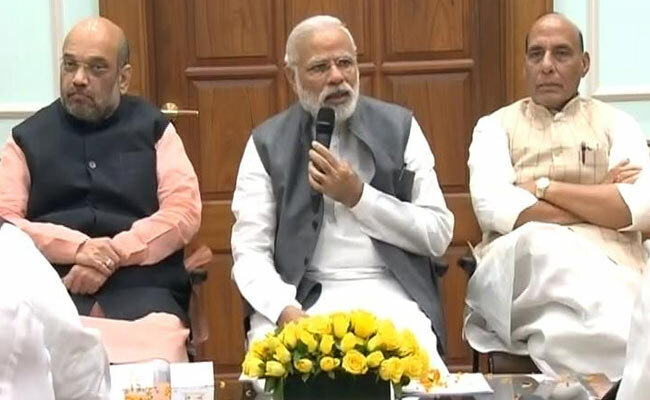 New Delhi: A key meeting of the ruling NDA's top leaders, including Prime Minister Narendra Modi, heads of BJP allies and its chief Amit Shah, will be held today to take stock of the political situation and decide on future strategy. This will be the second such after the BJP was voted to power in the 2014 Lok Sabha elections. Telugu Desam Party (TDP) President N Chandrababu Naidu, PDP chief Mehbooba Mufti are among the top BJP allies' leaders who may attend the meeting, BJP sources said. Besides, a number of Union ministers will be present at the meeting, they said. 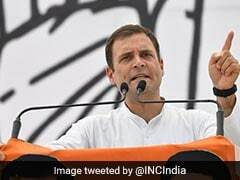 Sources said representatives of all the allies of the BJP across the country will participate in the meeting during the evening, followed by dinner. Earlier the Shiv Sena had threatened to boycott the NDA meeting after its party MP Ravindra Gaikwad was banned by airlines for assaulting an Air India employee. If the flying ban on Gaikwad is not lifted, we will boycott the NDA (National Democratic Alliance) meeting to be held on April 10. I am saying this after discussing it with party chief Uddhav Thackeray," Shiv Sena leader Sanjay Raut said while addressing a press conference in premises of the Parliament. Mr Raut said the government had assured that an amicable solution to the controversy would be found at the earliest. Mr Gaikwad, a Lok Sabha member from Osmanabad in Maharashtra, abused and assaulted 60-year-old duty manager R Sukumar of Air India late last month. The lawmaker was later banned by Air India from flying aboard its aircraft, following which other private airlines also refused to fly him. Today, the government indicated that it would intervene to end the ban as a denouement for the ugly drama that Mr Gaikwad has fronted; however, there would be no attempt to interfere with two criminal cases filed by Air India against the politician, said sources.